World of Tanks 1.0 is out and with it a new vehicle was released to the battlefield: Somua SM, French heavy tank. But fear not if you don’t like it, you can buy other Tier VIII Premium tanks currently on sale. 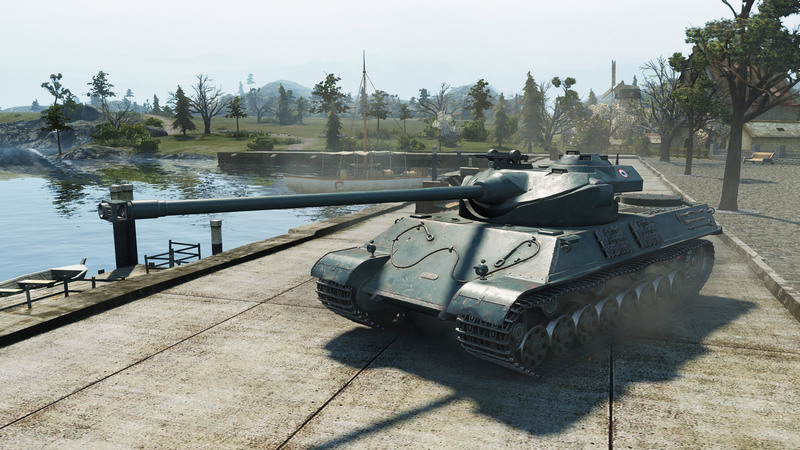 This French vehicle is a powerful supporting vehicle with an opportunistic playstyle. Time your attack perfectly and you can make your entire clip count. Do you hear the credits rolling already? Armour: While it still can’t compete with the most heavily armoured vehicles, it can deflect shots from same-tier vehicles. The turret armour is the strongest frontally. Combine this with very good gun depression and you can hide your most vulnerable spots easily. Mobility: Because of the armour upgrade, the top speed suffered quite a bit. However, the acceleration is still decent, allowing you to easily keep up with most of the heavy tanks. Firepower: As usual for French autoloaders, the main firepower depends on the burst damage, and the Somua SM has plenty of that. The five-round clip is able to cripple or completely obliterate any enemy you face, and all in the time span of nine seconds. Make sure you’re safe to reload afterwards. Good looking tank. Pity about the .4 dispersion though. Might trade in my Liberte that i got in a christmas box for it. It’s an auto-loader tank, of course it has paper armor. Previous Entry World of Tanks 1.0 is here!